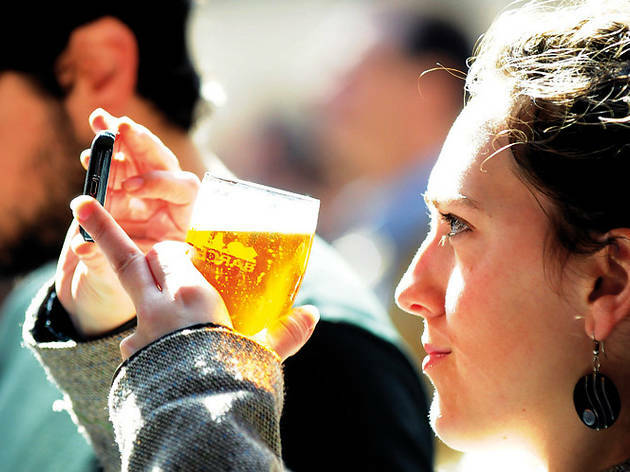 On April 11, 12 and 13 the Museu Marítim is the place to be for this year's Barcelona Beer Festival that serves to promote the culture and quality of artisan beers and to get to know the work of the artisan beer producers from Catalonia and around the world. You'll find a huge bar with 50 taps that will rotate though more than 300 beers, some produced specially for the festival and many that don't have regular distribution in Spain. Even the normally overlooked gluten-free and alcohol-free beer lovers will be well looked after. Many worldwide brewers and others from the beer world will be in attendance, including the likes of Marky Ramone. Drinks are bought with the festival's currency and served only in a festival glass, so no bringing in your personal pony keg for refills. Just €7 gets you in and includes your own festival glass, a guide (about how the festival works, articles about craft beers, beer reviews, and a guide of local bars and specialty shops), and the first two tokens to use to buy your brew. Each token after that costs €1. Just like in the real world, not all the beers cost the same, so have your wits about you when buying and using your precious tokens. Meet the Brewer: A separate bar with its own schedule will have a few guest brewers serving beer and talking about their products. 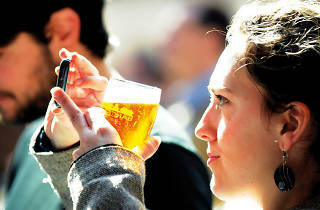 Professional Seminar: To encourage brewers to create an association of independent brewers. Food: In the food stalls, you'll find a variety of treats to accompany your beer – cheese, Asian tapas from Mosquito, and dishes courtesy of Nova Gamma. Beer and Culture: There will be activities linked to the history of beer, and a presentation of the archaeological research in Begues where Europe's oldest beer was found. History lessons never tasted so good.